Paris is my absolute favorite place in the world. There’s beauty and elegance everywhere you look in the city, and it’s really just a magical place. 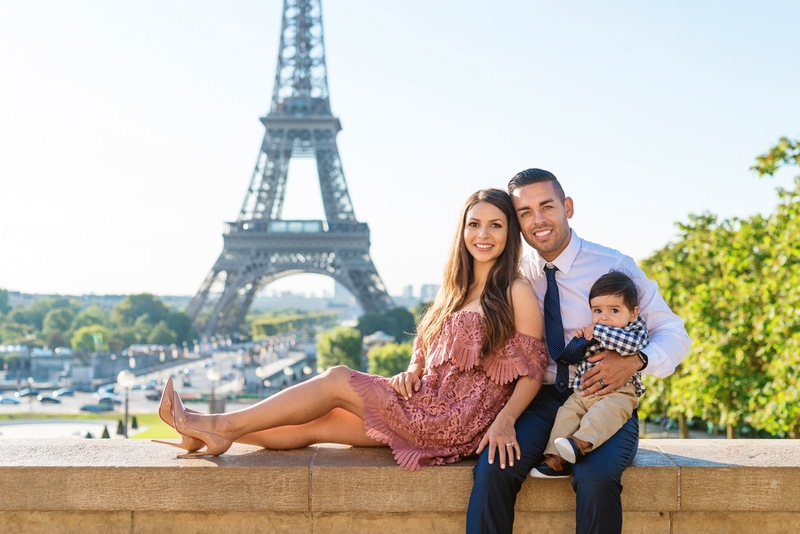 A couple years ago Jr and I decided to have photos taken of us, so we thought it would be fun to have some family photos taken on our trip there last month to capture Jaden’s first trip to Europe! I want to share some of my favorite photos and outfit details because I’m obsessed with this pretty lace dress! I need to find excuse to wear it again soon! Where is your favorite place you’ve travelled to?